Experience the adventure in the world of snakes and lizards. See the worlds most poisonous snakes, look into the eyes of giant multimetre snakes. 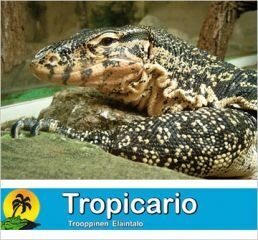 In our premises we have more giantsnake species than any other zoo in the Northern countries. See the giant monitors basking or water turtles swimming and spiders waiting for next meal. 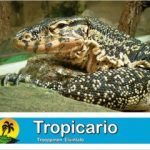 Through the glasswalls it is safe and fun to observe the activities of Tropicarios animals. Every terrarium has separate signs introducing species. All animals live in spacious nature-like terrariums which are built to fulfill the modern requirements. If needed you can even order separately a professional guided tour.